Absence of high quality pastoral species that can withstand climate conditions but also have high nutritional value for livestock production in agriculture is a challenge, says Minister for Agriculture, Inia Seruiratu. In order to combat this critical situation, the Ministry of Agriculture, in partnership with International Trade Centre (ITC) has released Mulato II. Mulato II is low growing, leafy constant grass with a most erect habit, which can be easily grown with three to six weeks. The pastoral species is feed for cows mainly or other livestock. The release of Mulato II was done at a ranch in Ciri, Sigatoka, owned by a farmer, Mohammed Shameem Khan. Mr Khan has a farm of 700 acres of which he had been using 0.5 acres to grow Mulato II for the past four years. Mr Seruiratu while speaking to farmers in Ciri said: “Modernising the agriculture sector is a large part of the agenda. 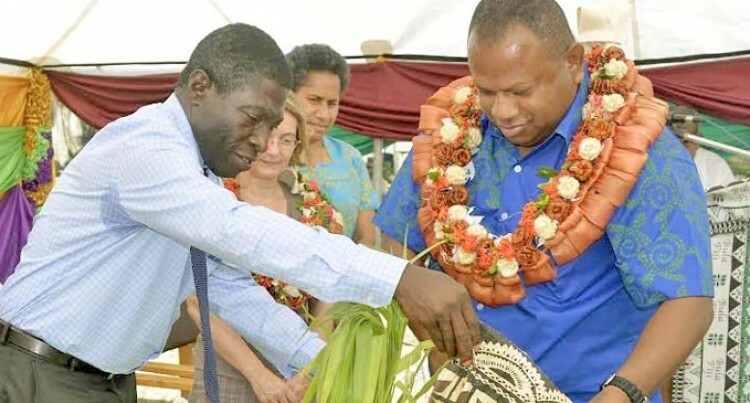 Mr Seruiratu said the livestock development and production in Fiji was significant to the agriculture sector in terms of food, livelihood, employment and income security for most of the rural based population. However, there are challenges that are faced by the livestock in the sector. These challenges, Mr Seruiratu said needed an inclusive development framework in order to be addressed. “With the new inclusion of Mulato II into the pool of native and improved species of pasture, the forage base for ruminant production is stabilised minimising the effects of season capacity,” he added.